Around 2100 hours Box 1-4 sent units to 326 S. 13th Street for a structure fire. Multiple calls were being received and the Squad reported seeing it from quarters. Heavy smoke was showing on arrival from a 2 story, occupied, middle of the row dwelling. 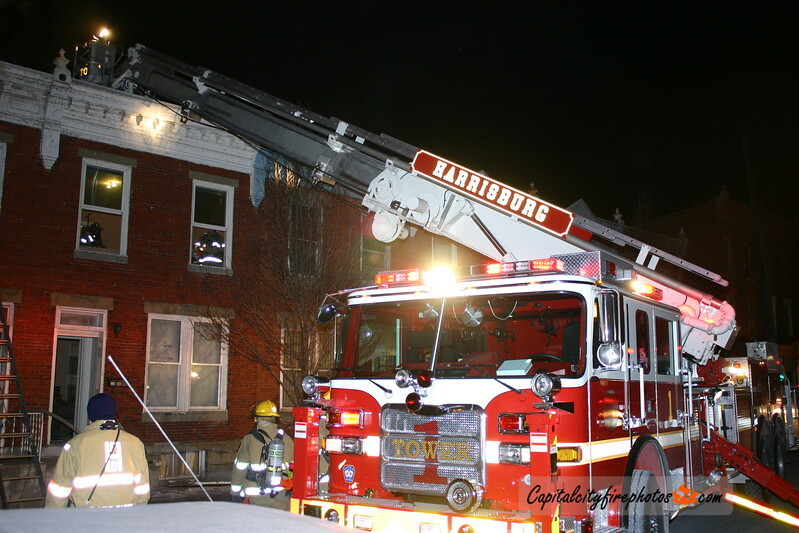 A line was placed in service on a first floor fire while additional lines were being placed on the second floor and in the exposures. Chief 4 (Hartman) requested the first alarm shortly after arrival. A good knock with extensive overhaul prevented further damage. Companies out for over 2 hours. Box Alarm: Squad 8, Wagon 4, Towers 1,3, Chief. 4; 1st alarm: Wagon 3, Tower 2, Rescue 69, Chiefs 1,2.